Earthquake-report.com was one of the first blogs in the world to report in-depth about this massive earthquake. Follow us on twitter or in Facebook for this and future events. Update 08:10 UTC : More than 80 police are being transferred from Auckland this afternoon (local time) to protect the city at night. A Night curfew has been called from 7 PM to 7 AM to prevent looting and to protect people from falling stones etc. Update 08:51 UTC : Stormy weather expected in Christchurch area tomorrow. Gales can worsen the situation of the unstable houses even more than the aftershocks do. Update 10:56 UTC : At least 7 aftershocks have been hit the area. Prime Minister told the press that it was a MIRACLE that no more people were hurt or killed. Still big areas in and around Christchurch without power. Great parts of the area also without water system. SAR (Search and Rescue) teams with especially trained dogs are underway from other parts in the country. The bigger local and National companies are starting to set up and to donate to relief funds. 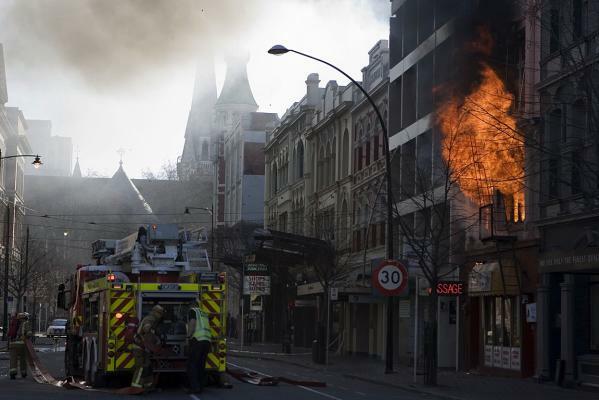 Curfew area imposed from 7 PM to 7 AM : CBD block Kilmore Street., Madras Street, Montreal Street and St Asaph Street + shopping centre + Kaiapoi. A fire breaks out in a flat in the city. Update 17:13 UTC : All press reports from the south islands are mentioning the disturbing treat of high winds on Sunday. New Zealand weather service warns the civil service to follow the detailed weather reports very carefully as wind gales of more than 100 km/hour can create more damage on unstable buildings and damaged roofs. Scientists are currently examining the origin and specific details of the earthquake. The 3 quake scenario is getting more credibility. This scenario is actually stating that what was sensed as the main shock might have been 3 seperate shocks one after each other. Update 23:02 UTC : Cellular networks did a great job during and after the earthquake. Even with the main power down, most of the networks continued working for 3 to 8 hours, vital for urgent communications. Civil Defense minister said that New Zealand was blessed that no one died. In big contrast with the miraculous zero casualties of this massive quake, was a plane crash at the South Island glaciers where 9 people lost their lives. As residents return to their homes or begin to assess damage, they need to be aware of a cold weather front moving across Canterbury throughout the day. More than 250 people used the Civil defense shelters during the night. An estimated 500 buildings have been damaged during the earthquake. Although authorities are still examining the cost to rebuild huge parts of Canterbury, the initial number goes beyond 2 billion NZ$. For some Christchurch residents the power outage may last several days. All elements of nature are constantly hammering on this volcano island arc, the South Sandwich Islands. This is the purest nature one can find on our planet. Located in the influence of Antarctica, an eternal icecap is covering the volcano archipelago. Those who have traveled to Antarctica (like me) know the places very well. An abundance of birds and thousands of all species of Penguins. 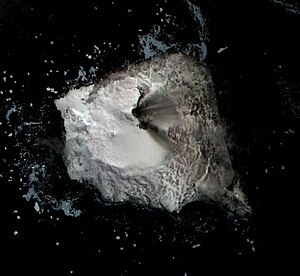 The South Sandwich islands are not often visited because of its distance (a limited number of cruises are inserting South Georgia ( a little … to the northwest) but the beaty of these places is astonishing. Purer than pure ! Today’s earthquake is a moderate normal one in this area of the world. It struck near Montagu island. Montagu island is home for Mount Melinda, a stratovolcano who erupted in 2005 leaving a 3.5 km lava flow on the virginlike ice and snow. The volcano only came awake in 2001. Mount Belinda is 1,370 meter high stratovolcano located on Montagu Island, in the South Sandwich Islands of the Scotia Sea. Belinda was inactive until late 2001, when it erupted. The eruption produced large quantities of basaltic lava, melting the thick cover of ice that had accumulated while the volcano lay dormant, and “producing a marvelous ‘natural laboratory’; for studying lava-ice interactions relevant to the biology of extreme environments as well as to processes believed to be important on the planet Mars.” Mount Belinda has been in a persistent state of eruption since 2001. Far from slowing down, the activity throughout 2005 marks the highest levels yet. An increase in activity in the fall of 2005 has produced an active 3.5-kilometre-long lava flow, extending from the summit cone of Mount Belinda all the way down into the sea. The flow spreads northeast from the volcanic vent, and then becomes diverted due north by an arête. We do try to bring a comprehensive overview of the vents. For this reason we have sliced our reports in different subjects. 2 main report pages + an aftershock and the tectonic explanation. Series of moderate relatively deep earthquakes without danger. Today’s earthquake was almost under Salta, a main city in that area. The quake will have been felt by a lot of people. 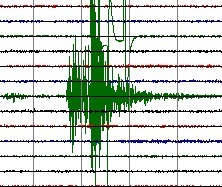 Moderate earthquake in a volcano arc and to the south of last weak earthquakes. Papua New Guinea daily portion of earthquakes, today quite close (10 km) to the coastal towns of Waibula and Wataluma on Goudenough island. The island is only 39 km in diameter and from the coastline, a cloud catcher mountain (Mount Vineuo) risis 2,536 meter above the sea. Cloud catcher = one of the places in the world with the most rainfall. 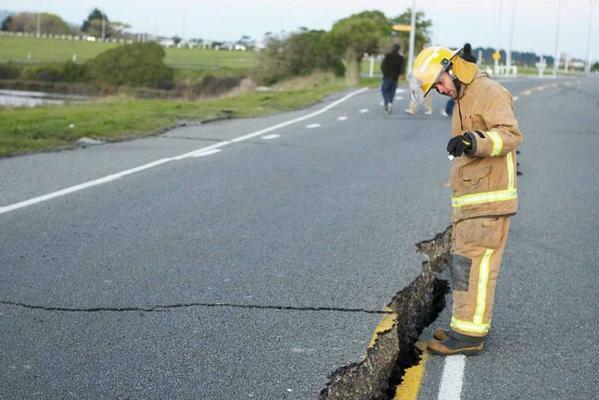 55 km from Ica – Quite powerful earthquake – Local press agencies are reporting that NO damage has been noticed. Too deep to cause any problems. Near the city of Pucallpa ! A powerful aftershock. Might cause more problems with unstable buildings who did suffer from the first heavy earthquake. Earthquake-report.com was created by the same people who wanted to do something constructive when the Haiti earthquake struck. Our goal was making an iPhone app that would be able to trace people if they where caught in the rubble and to facilitate immediate messages to friends and family in case of safety. We encourage New Zealanders to install and register the application and to use it as much as possible if a serious aftershock would strike again. Another MAJOR ISSUE we experienced today in Christchurch, is that the Cell Phone Towers were still working well on batteries, even when the power was out. Though I’ve seen a pretty wide variety of iPhone apps in every category and admittedly don’t know all of them by a long shot, Quake SOS is the first app I’ve seen that is designed for use in a natural disaster emergency. A combination of an alert system for victims of earthquakes and an earthquake information guide, Quake SOS is a free app and requires registration to use effectively. 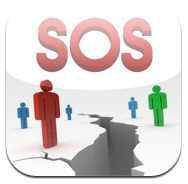 Quake SOS allows users to provide contact information of family and friends and to alert them if you are in an earthquake. You can notify your contacts that you are safe, or that you need help, whichever your situation would warrant. Other useful information includes an earthquake database of sorts that updates every time you launch Quake SOS. It provides information such as when and where earthquakes have occurred, the Richter scale magnitude and depth of the quake, and a map displaying the actual location. Registered users can notify others if they felt the quake and see the number of users reporting safe. Quake SOS also includes news pertaining to specific quakes. While the one notable issue regarding the effectiveness of Quake SOS is the fact that a signal is required for it to work, it remains a plausible source of information and assistance in the face of a natural disaster. The signal requirement could certainly pose a problem, depending on the situation. Obviously smaller quakes probably won’t take out satellite towers and internet signals, but larger ones certainly could. In that case, no information could be sent or gathered. It would really depend and reliability is certainly unpredictable.